Big storm rolled in this morning and flooded the washes, so I couldn't go into work. Stayed in the studio and took a crack at an ambitious Mickey Free splash page illustration. Daily Whip Out: "When Clouds Collide." Apache warriors had already begun leaving in droves from the newly formed San Carlos Apache Reservation when a U.S. Army officer was murdered in May of 1873. Gen. George Crook ordered his troops to bring in the heads of the suspected murderers. On April 27, 1874, scout Mickey Free brought in the head of Pedro and presented it to Capt. George Randall. Within a few months, eight severed heads were neatly arrayed on the post's parade ground. front page to create an authentic looking, but fake, cover. 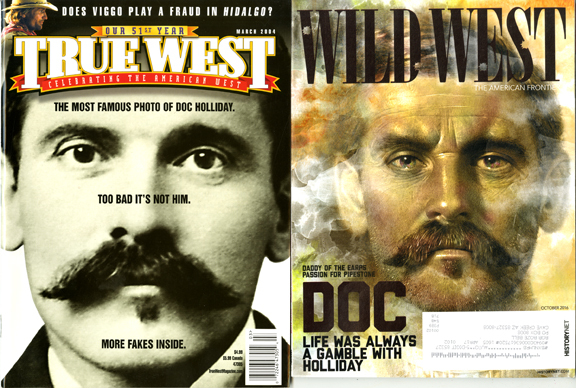 ​What's with the latest issue of Wild West? According to the Arizona Historical Society this photo of John Escapule was given to them in 1980 and mistakenly filed as Holliday. Then requests for Holliday images were filled by AHS with this picture. Subsequently the Historical Society, the Escapule family and the newspaper, Tombstone News, all have come forward to say that this is NOT Holliday but the Great Grandfather of current Tombstone Mayor Dusty Escapule. Now we can add Wild West to the history corrupter list. Five minutes of internet work would have told them that they had goofed, again. 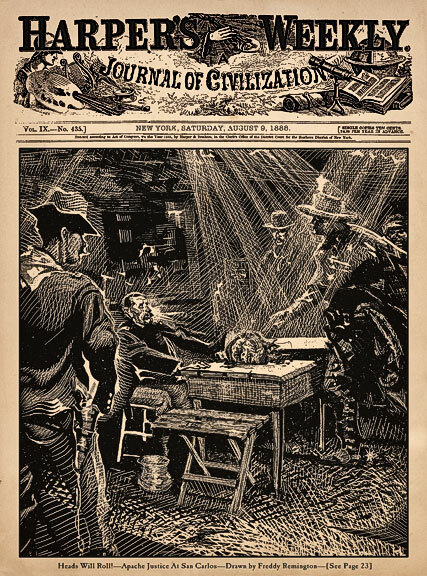 Allen is referring to the newest issue of Wild West magazine (below, right). 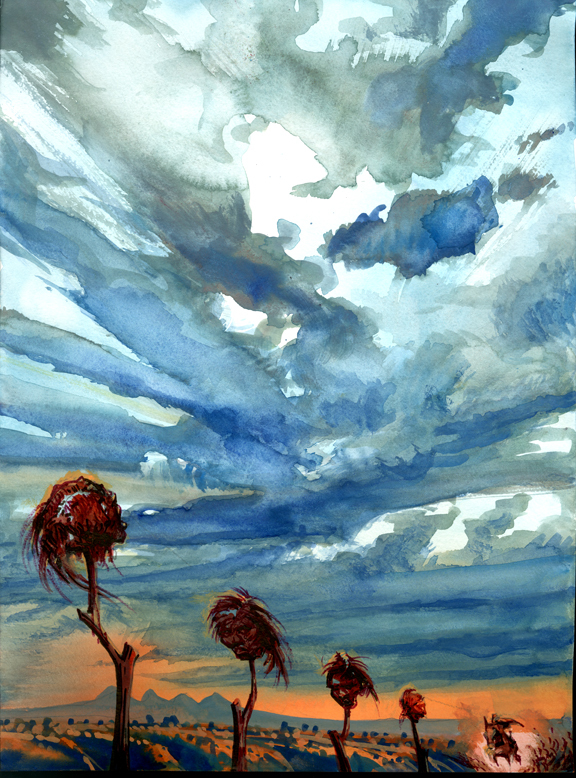 It features an excellent painting by the late Don Crowley, who it appears, used the discredited Escapule photo as his reference. He's not alone: both Val Kilmer and Dennis Quaid appear to have been inspired by the dapper Imperial—the dot of whiskers under the bottom lip—in the Escapule photograph.) We featured the ubiquitous photo back in 2004 in an entire issue pointing out all the fakes in the Western history field. I should be more gracious about all this since many of our writers work for Wild West as well, but not long ago, some kid asked a semi-well known Earp buff what the difference was between Wild West and True West and the buff said, "If you like history, read Wild West. If you like to look at ads, buy True West." Petty? Oh, I think so. I'm referring to both the buff's comment and my running the Fossenkemper broadside. I plead guilty, your honor, of being not only thin-skinned, but also of being a petty goober. "The greatest obstacle to connecting with our joy is resentment."